SINCE 1972, residents of St Paul Street have been hearing of plans to better their area, and with the promise of an east Port of Spain development project by Housing Minister Edmund Dillon, residents are operating on a "see it to believe it" basis. Sunday Newsday visited the area on Friday where the first phase in the project is expected to begin between June and July and be completed in 15 months. 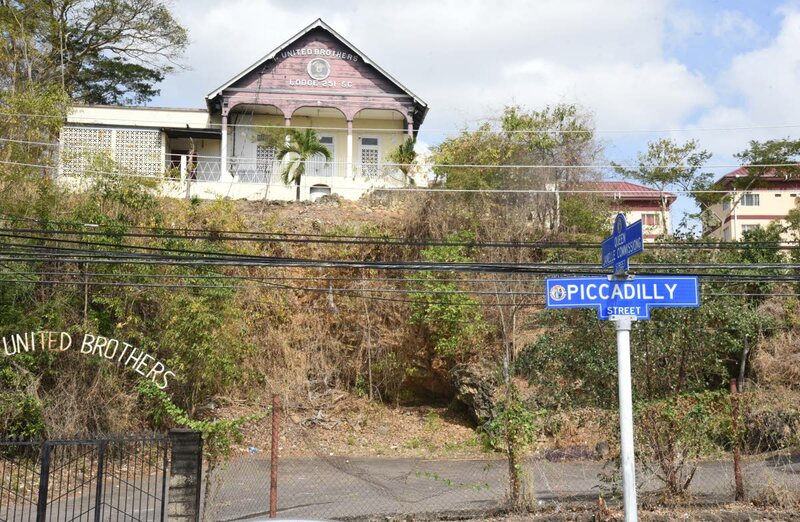 The aim of the Piccadilly Street Urban Regeneration Project, the Housing Ministry said, is to reinvigorate an urban space which is located within and around depressed and crime-ridden areas in east Port of Spain. In an e-mailed response to Sunday Newsday, the ministry said, “The project will seek to utilise sustainable urban practices and policies to provide improved living conditions, increase opportunities for employment through the provision of commercial spaces, increased amenities, social services and recreational spaces for residents." It is their hope that the new environment will be a catalyst for positive change within the redevelopment zone and in surrounding communities, using the crime prevention through environmental design (CPTED) principles. Former senator and resident of St Paul Street, Roy Augustus said he heard of plans to develop east Port of Spain since he was a child. He said: “I hope it's different this time around. Trust me, they know how to break down, they're very good at that. Look at the St Paul Street Community Centre it took close to 15 years to build a new one. Augustus, at the time, was liming with friends at Natasha’s bar. Also at the bar were 82-year-old Mervyn John and Marcelle Orville, 78. John said he was hearing about plans to develop the area since the first oil boom in the 70s as that was part of the country’s first prime minister Eric Williams’s plan to develop Laventille. Orville was not so optimistic. He said seeing was believing and, having lived in the area for over seven decades, he heard, too many times, talk of reinvigorating east Port of Spain. He admitted that he, too, would like to see the project completed but, with years of unfulfilled promises, that one was listed as just another. He emphasised that for the project to be a success, crime in the area must be addressed and police needed to co-operate with their counterparts in the security services to achieve that. Former Port of Spain mayor Louis Lee Sing said, during his tenure, there were many plans drawn for the development of the area. Some he saw, others he remembered dating back to the 1990s under the leadership of Patrick Manning, then prime minister. He added the reason none of the plans came to fruition, which included the relocation of Sea Lots residents and the expansion of the Port of Port of Spain, was a lack of political will. “Many people were concerned with how to appease these people but what should be considered is what is best for east Port of Spain. Everyone kept pushing the can down the road and as you keep doing that the cost keeps increasing. There is no need for any more plans, I think we had a plan scheme. 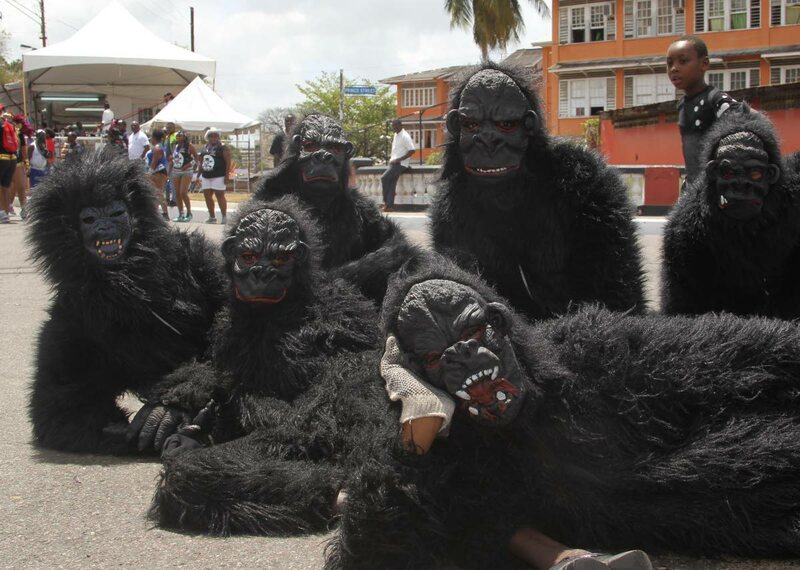 We have to stop spinning top in mud and re-engineer Port of Spain,” Lee Sing said. Inside Natasha’s bar, there is a newspaper clipping of the first phase of the project which will be managed by the Urban Development Corporation of TT (Udecott). The entire project is comprised of two blocks along Piccadilly Street, bounded by Piccadilly and Besson Streets, and Jackson Hill and Lodge Place. The two blocks are separated by Laventille Road. The first block will be divided into three phases which includes the construction of an eight-floor mixed-use tower development. Block two will involve the area north of Laventille Road bounded by Piccadilly Street, Jackson Hill and Laventille Road. Plans for work on Block two have not been finalised as consultations are still ongoing, the Housing Ministry said in their response. The cost of the first part of the project has been determined but will not be revealed as Udecott has issued requests for proposals and does not want to influence the bidding process. Funding for the multi-level structure will be sourced by Udecott on the open market, the ministry said. Currently the old building that once housed the Besson Street police station is being demolished to make way for phase one of the project. Udecott also has to acquire two privately owned abandoned properties at Lodge Place, just behind the old building, before construction begins. Although the project takes place in east Port of Spain, the East Port of Spain Development Company, which was established for the development of the area, will play no part in the first phase, the ministry said. Augustus and his friends recalled prior to the construction of the Clifton Street Towers and the adjacent (Winston) Spree Simon Towers, there were shacks and shops in the area and the then government relocated the residents and owners. This was in the seventies, they recalled. The men laughed as they reminisced on the number of people who had been paid to relocate as part of forgone plans to redevelop the area but were still living in their homes, some even died without having moved an inch. “They was to break that down there (pointing to several homes opposite Spree Simon Towers). My parents went up the hill and came back down when they finished the building. Some people still waiting to get their money to move out. We don't get fool again, we just laugh at them. Right now we glad people making a legal raid,” Augustus laughed in between sips of his Guinness. The legal raid he referred to was the work the young men from the area were doing tearing down the old police station. 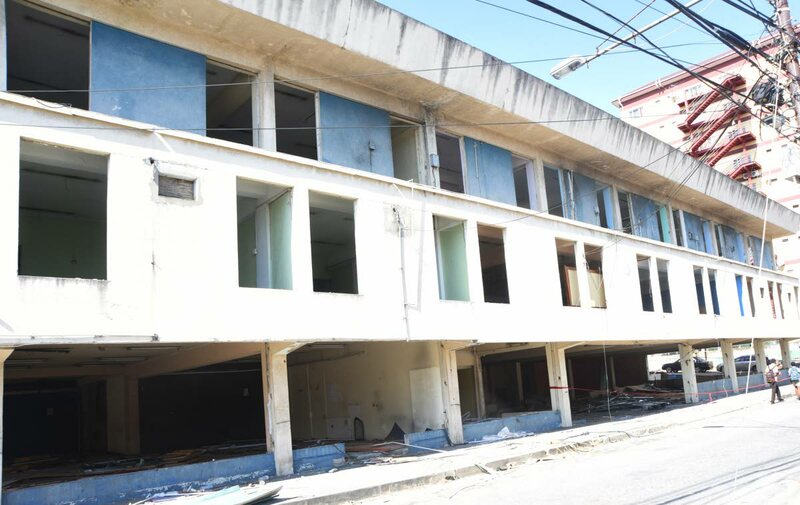 Another resident, Pamela Lee, who newspaper reports said was an illegal HDC tenant in Clifton Towers, told Sunday Newsday that the main issue with the demolition and construction was employment opportunities for the men in the area. She said some of the young men had been profiled by police who, she claimed, were being asked to identify themselves to ensure they were not “people of interest” to police. Lee, who said she was not a resident of the area but was in the community daily, looked at the proposal and hoped to own a booth in the commercial spaces saying the residents must be the beneficiaries. In the bar, Natasha (she didn't what to give her surname) said, since before her birth in 1975, there were plans to develop the area and after 40 years she is hoping that something would happen this time. The spot where her bar stands was once a shop owned by Chinese businessmen that her father bought and turned into a bar. She said the shop turned bar was once located where the Clifton Towers now stand and that gave her some hope that progress, although slow in coming, may come and may come in her lifetime. “Some was saying it is an election gimmick. Whatever they doing sounds good. Here always lovely, I want to see more businesses and a multi-purpose sporting complex will be good in the area because of the (gang) war with up the hill, it will be good to have a space where the children could play,” she said. Reply to "The Piccadilly Street project"